Music Together Generations is a mixed-age music class with the sweetest twist: the addition of elder participants! In senior residential and day programs across the country, people of all ages come together to sing, dance, shake shakers, and swing scarves. At Music Together Princeton Lab School, these intergenerational classes are held at Care One in Hamilton and The Atrium in Princeton. 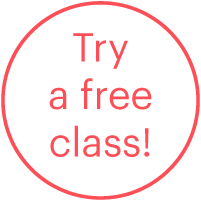 Click "Try a Class" to schedule a free class visit. You're welcome to join us for a free trial class at any time.